Niners the Front Runner for Matt Hasselbeck? Matt Maiocco of CSNBayArea.com has the latest about how Steve Young says the 49ers are the front runners for Matt Hasselbeck, the Seahawks free agent QB. 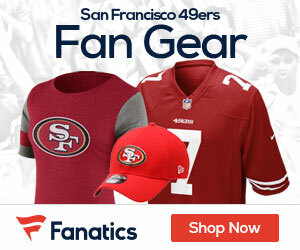 Steve Young floated the idea Monday that the 49ers are in play for veteran free-agent quarterback Matt Hasselbeck. The Hall of Fame quarterback, who has strong ties to Hasselbeck’s agent, David Dunn, made his comments on ESPN’s “NFL Live.” Hasselbeck, who turns 36 in September, has struggled with injuries and performance since a strong 2007 season. Hasselbeck started 14 games last season for the Seahawks and compiled a 73.2 passer rating with 12 touchdowns and 17 interceptions. But Hasselbeck also has a long history in the West Coast system, and he has led the Seahawks to six playoff appearances since 2001. 1 Comment on "Niners the Front Runner for Matt Hasselbeck?"